Daily Pass: $15. Weekend Pass: $20. Children 3 & under will be admitted for free. 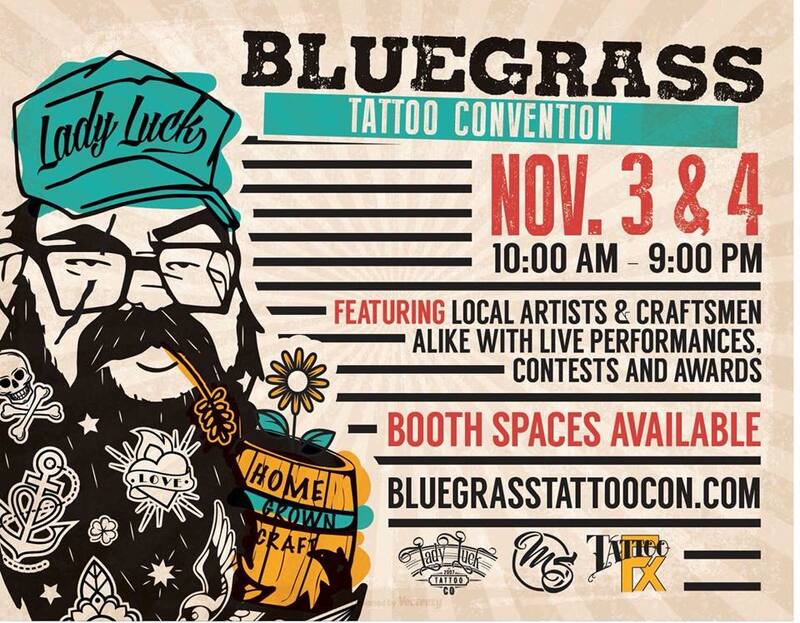 Owensboro’s first tattoo convention is back for our second year! November 3rd & 4th from 10am to 9pm both days! Come experience all of the artists, craftsmen, vendors, performances, contests, and more! Don’t miss out! -Valid for one day only. -Children 3 & under will be admitted for free. -Additional processing fees apply to all ticket sales.